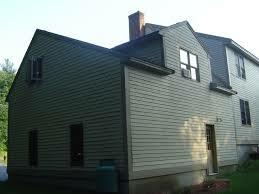 Building a second story addition onto a home is a huge endeavor. Consequently when planning a second story home addition it is important to fully research and understand all of the structural and logistical issues, as well as the family life disruptions, that will be involved. From a structural standpoint key issues that will need to be addressed include the evaluation of the size of the existing ceiling joists, how the roof was built (e.g. stick built or with trusses), and the number and size of chimney or vent stacks that are penetrating the roof. 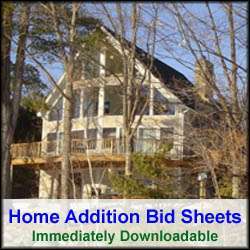 All of these issues can and will impact how you go about planning a second story addition. For example, you most likely will end up needing to sister larger lumber to the ceiling joists to support the load of a second story addition. Similarly the floor layout of your second story addition will have to consider existing chimney’s or vent stacks penetrating up through the existing attic and roof. Another major concern when planning a second story home addition are the electrical and mechanical items that may be resting on the existing ceiling joists or stored in the attic. Electrical wires will need to be disconnected from the main circuit panel prior to cutting them away. Similarly, if there is HVAC equipment located in the attic it will need to be disconnected and removed. Removal of electrical and mechanical systems from attics and the exterior of the home can add significantly to the costs of adding a second story addition. Also, depending upon whether or not the second story addition will entirely encompass the first floor, the removal of the roof can be complicated, particularly if the roof has multiple lines and/or sections. Moreover, the type of roofing material used, and/or the number of shingle layers on the roof, will also impact demolition costs. Building a second story addition often involves having to temporarily relocate the family due to the extensive demolition and construction work required. Make sure your relocation plans are well thought out and you have a place to go before demolition and construction begin. After your second story addition plans are nailed down and you have permits in place, you can begin the demolition work. First, make sure the attic space is completely empty. Also have one or two large nylon tarps handy to cover the exposed areas of the home when the roof is removed. To start the demolition, begin in the soffits by removing the lumber that encases the roof rafter ends. Electrical and phone connections that may be attached to the side of the home and/or near/on the soffit areas should have been previously moved by the respective utility. Once the soffits have been removed use a circular skill saw to cut away large, but manageable sizes, sections of the roof sheathing and shingles. Its best when doing this task to start at the ridgeboard, and work your way down to the rafter tails cutting in between the roof rafters. Make these long cuts every second rafter, such that the cuts are spaced approximately every 32 inches. After making the vertical cuts, make horizontal cuts across the roof line every 48 inches. This way you can then remove 32”x48” sections of the roof using a pry bar and sledgehammer. After removing all of the roof sheathing you can them begin to disassemble the roof rafters or trusses. Again, it’s best to cut them into manageable sizes using either a skill saw, or better yet, a Sawzall. A sledgehammer also comes in handy during this stage of demolition. Start by disconnecting the roof rafters from the ridge board and then twisting them off the top plate at the exterior wall edge. If you need to remove trusses you should first sister larger lumber to the long horizontal cords that form the ceiling joists, assuming they were built out of 2x4s or 2x6s. Typically you’ll need to sister 2x10s or 2x12s to the truss cords to provide enough structural integrity for the second story addition. Once the additional lumber has been sistered in, you can then carefully cut away the remaining sections of the trusses. Once the roof has been removed, you can then attach ¾ inch plywood or OSB sheathing to the new ceiling joists to create the deck of the new second floor addition. Prior to installing the floor sheathing, however, you may need to bring your plumber and electrician in to reroute pipes and wires to the desired areas for your second story addition. In some cases, some of the piping and electrical wires may need to be located in a crawl space hidden behind a knee wall in the second story addition. With the demolition complete and the deck sheathing installed, the second story addition can begin in earnest. The second story addition should be framed, shingled, and any windows and doors required, installed as quickly as possible to button up the home from the weather elements. Until the addition is completely buttoned up, nylon tarps should always be tightly installed over the project at the end of each day to prevent water damage to the lower levels of the home. If your second story home addition is planned out well, within a week you should be able to have the new addition sealed up from the elements. Once it’s sealed up the interior work should be able to be completed in just a few additional weeks, again if the project was planned properly.